Grown up in the village of Kötschach-Mauthen, Carinthia. After the gymnasium in Klagenfurt study “Soil Sciences“ at the University of Natural Resources and Life Sciences and the Uni-versity of Vienna. Thereafter Master’s degree in soil science with emphasis on “Soil Forma-tion” at the University of Gent, Belgium. From 1999 to 2000 manager of soil-directed pro-jects and expertise as independent consultant. Starting in 2000 until spring 2009 handling of soil scientific themes as employee at the Institute of Water Resource Management, Hydro-geology and Geophysics of Joanneum Research Private Limited Company Graz, Styria. Since spring 2009 manager of the GeoPark Carnic Alps. Grown up in Pernik/Bulgaria. After gymnasium in Sofia/Bulgaria start of the discipline “Biol-ogy“ at the University of Sofia with focus on Botany and Medical Plants. In 1997 and 1998 participation of different nature conservation projects in Bulgaria conducted by NGOs. From 1999 to 2000 staff of the Department of medical plants at the Institute of Botany of the Bul-garian Academy of Sciences. From 2001 to 2003 management of the showgarden of the win-terschool for cannabis and flax at Mandorf/Kötschach-Mauthen, Austria. 2004 education as National Park visitor adviser in the National Park Donau Auen in Lower Austria. 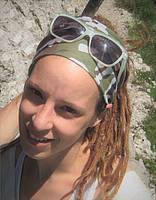 Since March 2010 assistant of the GeoPark Carnic Alps. Grown up in the village of Seeboden at Lake Millstatt, Carinthia. After finishing the gymna-sium in Spittal/Drau study in the subjects geology and mineralogie at the University of Graz. In the year 1965 start of scientific studies in the Carnic Alps. In the year 1971 employed as staff of the Geological Survey of Austria with focus on geological mapping and stratigraphic research of sedimentary sequences of the Paleozoic Era. 1993 appointment as Director of the Geological Survey, 2002 election as Titular Member of the Austrian Academy of Sciences. Several research stays in foreign countries and member of international commissions for the Earth Sciences. Retirement at the end of 2007. Living in A-9640 Kötschach-Mauthen. Grown up in the Lesachtal, Carinthia. After the Commercial Academy in Lienz and the Chemistry College in Vienna employee at Boehringer-Ingelheim Austria in the field of chemical research. Thereafter study of Geology at the University of Vienna with focus on structural geology and geochemistry. From 2010 to 2012 working in the field of environmental analysis at the MAPAG GmbH in Lower Austria. From 2012 to 2013 working as an exploration geologist with focus on geological mapping and geochemistry in Indonesia. Since August 2017 assistant of the GeoPark Carnic Alps. Jan Salcher, born in Lesachtal and living in St. Lorenzen, supports the Geopark Team as a professional hiking guide since 2010. 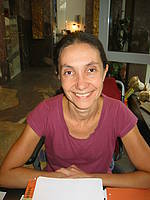 Carina Lenzhofer, born in Gail Valley is a trained hiking guide and specialized on children programms.